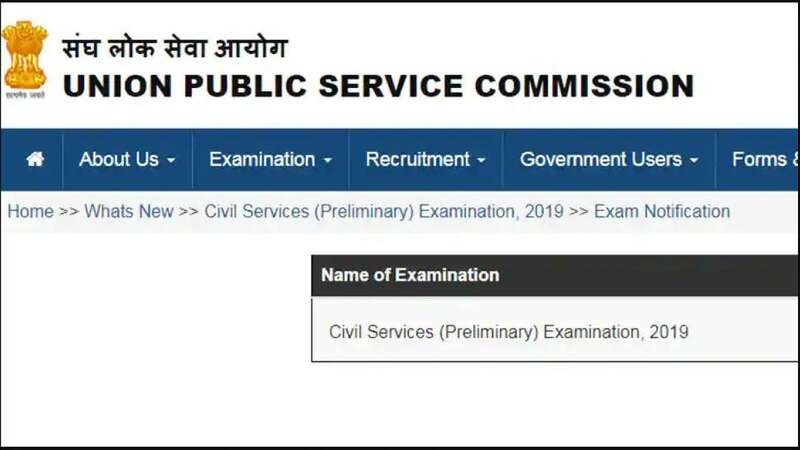 New Delhi : UPSC civil services exam 2019: The online registration process for Union Public Service Commission (UPSC) examination has begun from today (February 19). As per official calendar dates, the last date to apply for it is March 18. The preliminary examination has been scheduled for June 2, 2019. The candidates who want to appear for the IAS and IFS examination can fill up the application form on the official website - upsc.gov.in. The candidates who will clear the preliminary examination will have to give the mains examination scheduled for September 20. The main examination for UPSC Indian Forest Service (IFS) will be conducted on December 1, 2019. The IFS main exam will be conducted for 10 days. To apply for the UPSC CSE 2019, applicant must have qualified graduation level course or its equivalent from a recognised university/ institution. The UPSC recruitment consists of a three-level exam including prelims, main and interview. Candidates have to qualify all three levels. The main exam has 1750 marks while interview has 275 marks. The final selection would be based on Merit score of main and interview round combined.